More than 25 years mining industry experience, including senior technical and business development positions at Newmont, Cyprus Amax, and WMC Ltd., and fifteen years in Latin America. Serves on the board of Sandstorm Gold Ltd., Tinka Resources and New Dimension Resources. Founding CEO of Mirasol Resources; led multiple joint ventures and a major asset transaction, valuing the project at more than $60 million. 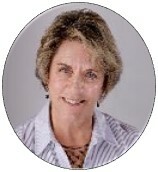 Mary has an MSc in Earth Sciences from the University of California, and an MBA from the University of Colorado. 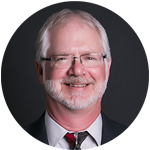 Frank Wells has more than 35 years of diverse experience as a financial analyst, business development specialist, financial officer, and director. He spent 17 years with Santa Fe Pacific Gold Corp. and Newmont Mining Corp. in senior business development and planning positions in the western US and around the world. Mr. Wells also acted as Finance Director and CFO of Central Asia Metals Ltd. His recent experience includes extensive financial modeling in association with advanced engineering studies and acquisition opportunities in the gold, lithium, copper, lead-zinc, rare earth element, and chromite sectors. Mr. Wells has considerable financing and transactional experience, including helping to raise tens of millions of dollars as Central Asia Metals built its portfolio of assets and put its SX-EW Kazakhstan copper project into production. He is also an expert at project valuation, having participated from both the buy and sell sides in the negotiations and execution of numerous mineral asset transactions. 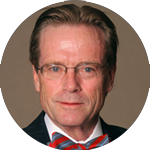 Mr. Wells has a bachelor of arts degree from The Johns Hopkins University and an MBA from Duke University. A seasoned resource company professional with over 25 years experience in exploration, operations, business development, and executive roles for various companies, including: Rio Tinto, BHP Billiton, Newmont, and Lithium One. Mr. Highsmith has evaluated and worked on more than 250 projects around the world. His project management experience includes leading diverse teams through major engineering and development milestones, including delineating several mineral resources, a successful PEA on the Sal de Vida lithium brine project. Patrick has BSc and MSc degrees from the Colorado School of Mines in Geological Engineering and Economic Geology (Geochemistry). Mr. Dake has 15+ years experience providing Investor Relations and advisory services for a number of public companies. 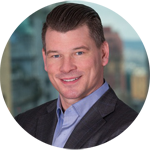 Mike serves on the Board of Directors for several TSXV companies and has had led several financial capital funding successes during his career. Mr. Weinig has nearly 30 years of experience in hydrogeology, project management, and operations at sites around the globe including contributions to the resource quantification for a lithium-brine project in Argentina unrelated to Pure Energy. He has managed multi-disciplinary engineering and scientific teams performing investigation, design, and permitting projects in surface and underground mining, industrial, and environmental arenas. Walter has a BSc degree in geology from the University of Wisconsin and an MSc degree in hydrology and water resources from the University of Arizona. He is a registered Professional Geologist and a certified Project Management Professional. Ms. Szigety has more than 25 years of management experience with public and private companies, specializing in corporate and legal services optimizing regulatory compliance, and corporate governance for her clients. She has served as an Officer for a number of TSXV and OTCQB/QX listed companies Dianne is a Fellow of The Institute of Chartered Secretaries and Administrators.